What a very weird movie. I liked it. I think movie and theater people will appreciate the movie more. I particularly admired the single-take shots (or the illusion of it), but found the technique exhausting at some point. Although, I think the cameraworks went pretty well with the plot of the movie. Michael Keaton was aweeesome. I particularly loved that he was once Batman himself. There are tons of shouts in the movie – superhero movies, critics, crazy method actors, drugs, etc. Edward Norton is love. Edward Norton is life. I didn’t even recognized Zach Galifianakis. That man can act beyond slapstick comedy. I would love to see more of him. Emma Stone is a marvel. “What? !” – me at the ending. Nuff said. Ok, I thought that this year’s roster of movies are very “white” and very “male” (as suggested by critics), but I actually liked the nominees this year (except for American Sniper, of course). The movies are more magical and outside the box. 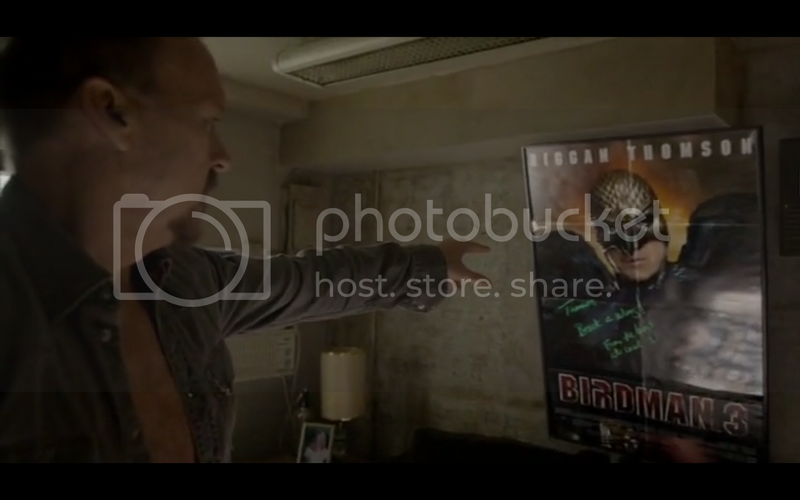 Birdman pretty much proved that. I thought that the movie is some sort of an Oscar bait, but it was the opposite of that. This movie’s crazy – the good kind of crazy. I think that Birdman is cinematically superior to Whiplash. Although I am more entertained with Whiplash, I think Birdman deserves to win more.